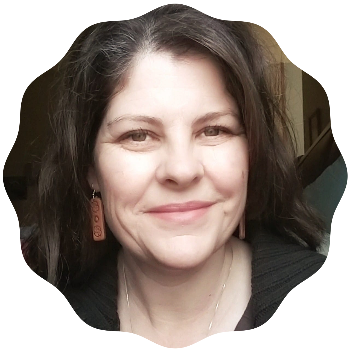 This post may contain affiliate links to products I love and recommend. Welcome to How to Live the Little Way. A weekly post here at The Littlest Way where I gather all the ordinary things that happen or are happening in my day to day. Things like what I’m reading or listening to, eating, cleaning, and learning. These are the small moments that make up my blessed daily life and I want to remember them. My prompts may change depending on season and circumstance. 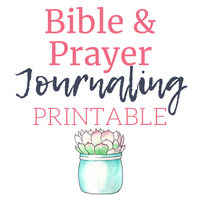 * I’ve written an ebook to guide you through the whys and hows to get started with Bible Journaling, Bible Journaling Tips, Inspiration and Permission, and to encourage and inspire you in your Bible journaling! I am praying for the soul of my grandma and my grandpa who died three years ago. I am also praying prayers of thanksgiving for all the time I had with them and for their influence in my life. I am pondering people who lie and deceive. I have a pretty low tolerance for BS (if I may use that term) and now it’s almost non-existent. If I can’t trust you, what is there? Oh and by the way, I know. I can just normally “Bobble head” my way through it. This is my “quantity” Bible to make sure I get the Word inside me each and every day. This is my study Bible. 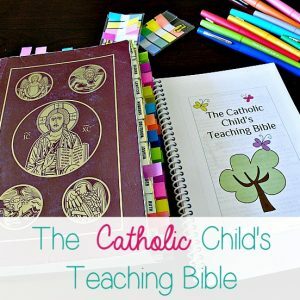 I’m happy to hear so many of you benefitted from my Catholic Bible Journaling Comparision post. I have this intense desire to purge incredibly ruthlessly. I know in part this is grief. I also know it’s a result of sitting in my grandma’s house looking around at stuff that now someone has to make decisions about. This past week I just ate whatever, whenever. Time to start thinking about food as nourishment and not just something to grab. Use this link to receive $10 off your first Walmart Online Grocery Order. This week it looks like loads of grace easing back into a busy life. I ate terribly and slept even worse all last week–one night only a couple of hours with my head on my grandma’s bed and my body contorted in a lawn chair, so this week is about catching back up. A Daybook post from one year ago. Sadly the ring I’m wearing in the picture broke. Two years ago I was spending the month writing Bible Verses About Patience. 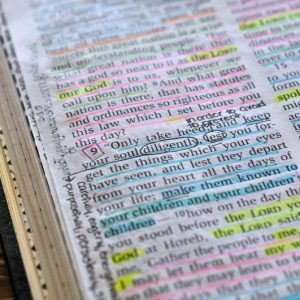 Three years ago I was writing about the Bible as well, this time about memorizing scripture. Four years ago I wrote a telling post about How to Spot Bravery. Today is the Feast of St. Teresa of Avila. Wednesday is the Feast of St. Margaret Mary Alacoque who spread devotion to the Sacred Heart. And Thursday is the Feast of St. Luke. I told my sister to take a picture of me in front of my grandma’s house. As soon as I sat down on the steps I started bawling my face off…again…for like the 2357th time in three days. My sister started snapping anyway. I’m kind of glad she did. Since I heard of my grandma's condition late Monday night and sat with her until her last breath Tuesday night, I have cried my face off every single day. Friday afternoon I said my last good-bye to my grandma. ⠀ ⠀ I couldn't bear to walk away from her casket at the funeral home so Veronica @blue.e.y.e.d.girl helped me count to three and then step away.⠀ ⠀ Grace Fern Jones was a plain, simple, hard working woman of her word. She and my grandpa filled the large and painful gaps in my childhood; they were my safety and my stability. My sister @takingthyme and I spent six weeks every summer and a week right after Christmas with her and my grandpa every year.⠀ ⠀ She taught me how to clean chickens (against my wishes), play cards and dominoes, light fire crackers under old coffee cans, and watch General Hospital while snapping green beans.⠀ ⠀ I didn't see her as much as I wanted. Busy schedules and a house full of kids made it tricky, especially if any one of us sniffled or sneezed, I'd always err on the side of caution. The last few years were made even harder by her Alzheimers. Because of it, even my phone calls became less frequent.⠀ ⠀ My home is decorated in her and my grandpa. An old window from their farm hangs in my dinning room. On top of my bookshelves sits a large collage of photos of the farm, an old coffee percolator turned into a lamp that used to sit on their desk, old blue canning jars from the cellar, and an crock sits around the collage. A large basket in the living room over flows with lap quilts she and my grandpa made, our beds are covered in quilts they made and my linen closet in filled with even more quilts. On my bedroom wall hang two large double wedding ring quilt pieces my grandma gave me that were made by my great grandma. On display in my front yard is an old, rusty set of wagon wheels from the farm and in my backyard and old stock pen has been a jungle gym for my children. And of course my lovey made a few years ago by my friend out of a couple of old pillow cases from my grandma's farm.⠀ ⠀ My grandma remained my constant, my safety, and my stability. In your charity, please pray for the repose of her soul and my broken heart. Eternal rest grant unto Grace Fern Jones Oh Lord and let perpetual light shine on her. May she and all the faithful departed rest in peace. May those that are left behind find joy and solace in their memories. Amen. Oh Jenny, I’m so sorry to hear about your Grandma. I know how hard it is – my Grandma was like a mother to me. But I’ve surrounded myself with her and Grandpa things and they bring me comfort. Your love for them lives on in you and your children. May Mary’s mantle wrap you in her loving care. Take care of yourself, sweet friend! I am so sorry for your lost. My grandma has been gone 13 years and I still miss her. Praying for you.